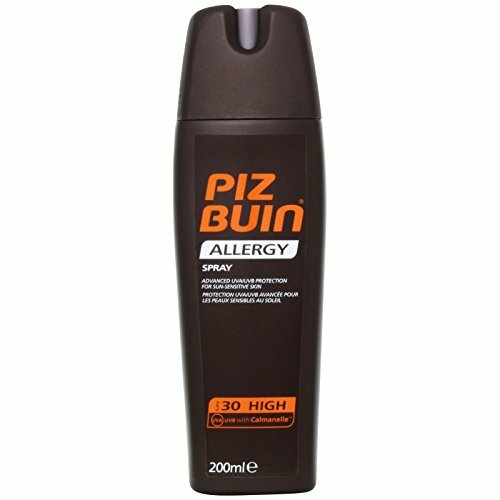 PIZ BUIN Allergy Spray Sunscreen SPF30 UVA & UVB 200ml / 6.7 fl. oz. Product prices and availability are accurate as of 2019-04-08 20:42:25 GMT and are subject to change. Any price and availability information displayed on http://www.amazon.com/ at the time of purchase will apply to the purchase of this product. 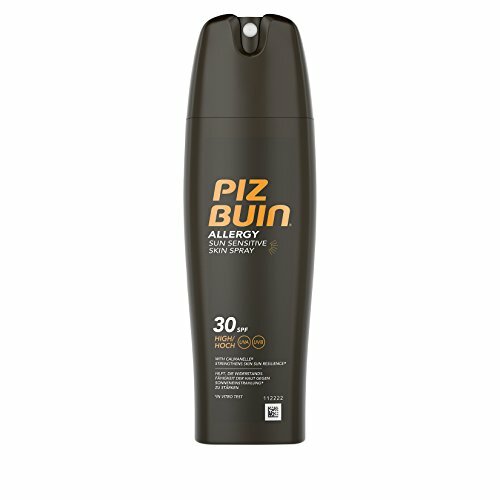 PIZ BUIN ® Allergy is specifically established with dermatologists to safeguard sun delicate skin. 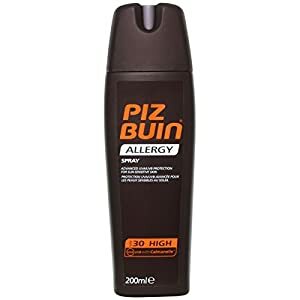 PIZ BUIN ® Allergy combines innovative UVA/UVB sun filters and CalmanelleTM - a distinct guard complex, proven to help reinforce your skin's strength *. Created with a powerful antioxidant, CalmanelleTM reinforces the cell defence against UV rays and helps to increase skin cell tolerance * to the sun. Dermatologically tested PIZ BUIN ® Allergy is offered in a vast array of SPF's and formats for different skin types and circumstances. The spray is specifically established for sun delicate skin offering hours of moisturisation. It relieves sun delicate skin and helps avoid your skin from peeling. The practical spray enables a simple and even application. Apply generously and evenly before sun exposure. Reapply frequently, specifically after sweating, swimming or towelling. Avoid midday sun. Shake before use. 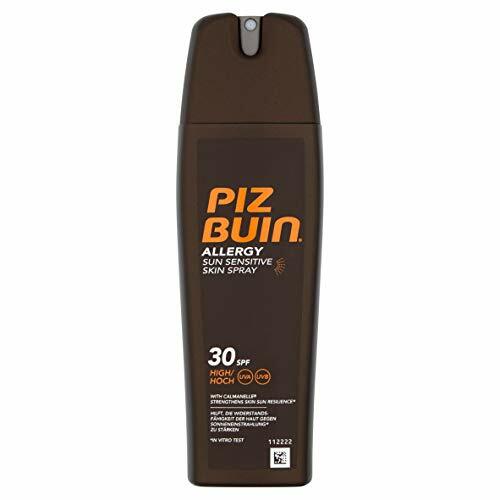 PIZ BUIN® Allergy Spray 30 UVA/UVB protection for sun sensitive skin PIZ BUIN® Allergy is specially developed with dermatologists to protect sun sensitive skin. PIZ BUIN® Allergy combines advanced UVA/UVB sun filters and CalmanelleTM - a unique shield complex, proven to help strengthen your skin's resilience. Formulated with a powerful antioxidant, CalmanelleTM reinforces the cell defence against UV rays and helps to increase skin cell tolerance* to the sun. It soothes sun sensitive skin and helps prevent your skin from peeling. The practical spray allows an easy and even application.